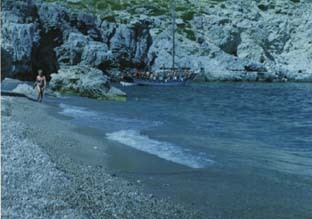 A beautiful secluded cove only 2.5 km away from Faliraki it is a popular setting for many filmmakers. Ideal location for a quiet day at the beach. Once a year though the place is jumping all night long when the biggest beach party of the island takes place. When in Rhodes, just make sure you don't miss it!! !